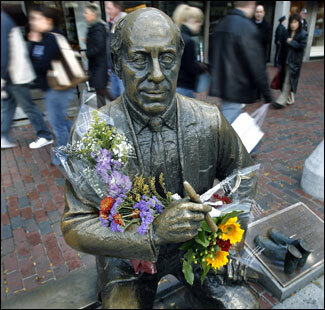 The Red Auerbach folklore is extensive: The seven basic plays, plus options. The victory cigar. The Chinese food. The legendarily bad driving. The way he protected the owner du jour's money even better than he did his own. The love of Asian art and furniture. The letter opener collection. The image of him with the rolled-up program battling such referee foils as Sid Borgia and Mendy Rudolph. The love of tennis and racquetball. The chutzpah to draft the NBA's first black player, Chuck Cooper, in 1950; the further chutzpah to start five black players in the 1964-65 season; and even more chutzpah to name Bill Russell his successor when he retired from coaching in 1966. And more: The fact that during the Bird Era he was not to be disturbed between 4 and 5 in his office because that's when he watched "Hawaii 5-0." I always thought the piratical old SOB would outlive me and everything else except the cockroaches. Hero, liar, racial pioneer, cheapskate, a man I hated in youth and am weeping as I write his obit. Sports and the world are duller and poorer places this morning. First team: Head coach, Red Auerbach. 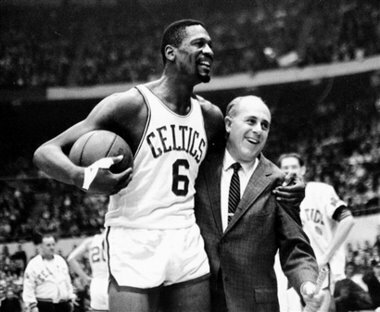 Center, Bill Russell. Guards, Dennis Johnson and Jo Jo White. Forwards, Larry Bird and Kevin McHale. Second team: Head coach, Tom Heinsohn. Center, Robert Parish. Guards, Bob Cousy and Sam Jones. Forwards, John Havlicek and Paul Silas. Backups for any of those teams: K.C. Jones, Dave Cowens, Bill Sharman, Don Nelson, Cedric Maxwell, Frank Ramsey and Satch Sanders. Wouldn't it have been great to see the two above teams go at it?... I'd certainly take either team today and watch them pound the current NBA crop. Get rid of the idiotic Dance Team NOW!! And get rid of the entire Bimbo Brigade the Celtics trot out every game. Enough of the Dallas Mavericks-ization of what WAS the proudest franchise in sports. Boston fans at the old Garden once booed an organist who tried to innovate by introducing the Mexican Hat Dance. Today, the Cs have their own dancers, whose charms, while considerable, do not exactly represent an organic addition to the legacy of the Cooz, black high-tops and Johnny Most. 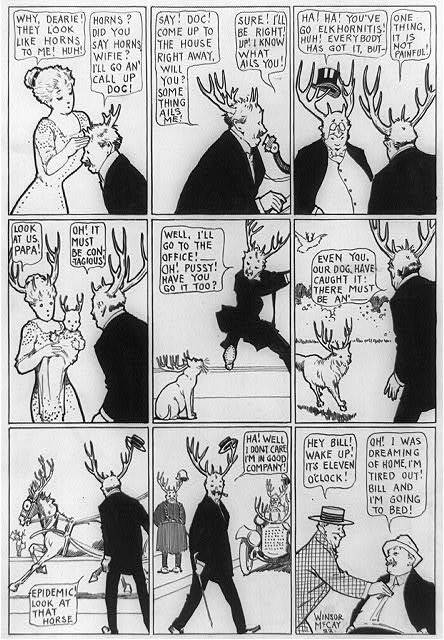 Mr. Seal, though, may appreciate Danielle, who embodies the new Celtic Mystique as filtered through Albert Vargas. Over Red's dead body, indeed.